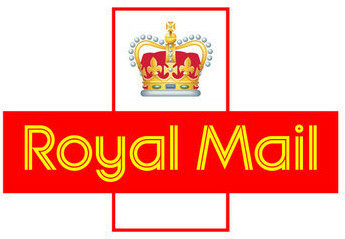 Following further meetings with Royal Mail, a pay offer was received from the business on 26th May 2016 which was considered by the Postal Executive at a meeting on 31st May. In line with the pay policy carried at the March Policy Forum, the offer provides for a straight forward 1 year, no strings deal in the form of a 1.6% increase in basic pay, pay supplements, skills and unsocial attendance allowances, London Weighting, Scottish Distant Island allowance, overtime and scheduled attendance rates backdated to 4th April for weekly paid staff (1st April for monthly paid). The 1.6% offer reflects inflation as measured by the March Retail Price Index (RPI) in line with the principle consistently adopted by the union that RPI rather than CPI should be the key cost of living benchmark in pay negotiations. The offer means that membersâ€™ earnings will keep pace with inflation (itâ€™s worth noting that the April RPI fell to 1.3%). The view of the pay negotiating team, endorsed by the Postal Executive at its meeting yesterday is that the offer represents an acceptable conclusion to the 2016 pay talks that meets the policies we have adopted for a clean, 1 year, no strings deal. The offer will therefore be recommended for acceptance in an individual membersâ€™ ballot. Ballot papers will be issued from 9th June; the ballot will close on 30th June. Any enquiries in relation to the content of this LTB should be addressed to the DGSP Department quoting reference 60000.